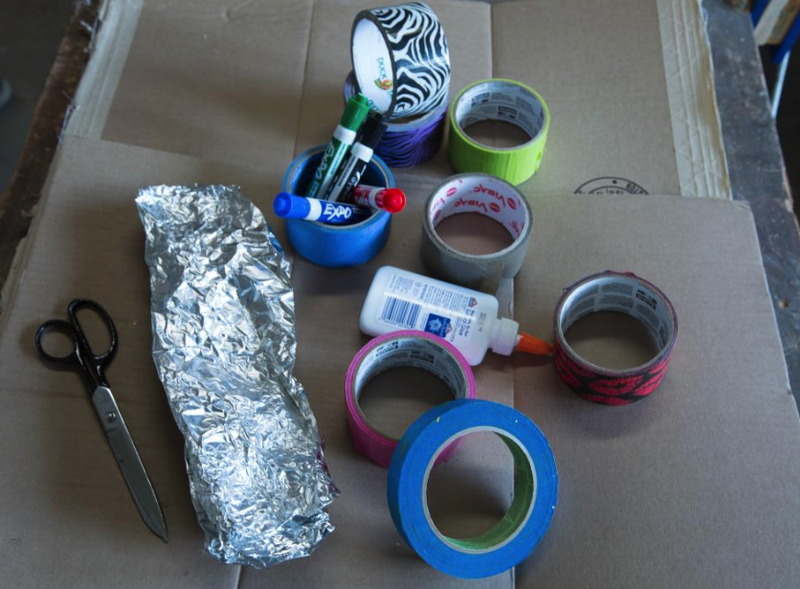 Make a micro:bit guitar with this guided tutorial! 5 Activities, approx 30-45 min each based on familiarity with the coding concepts. Everyone can come up with a unique design! 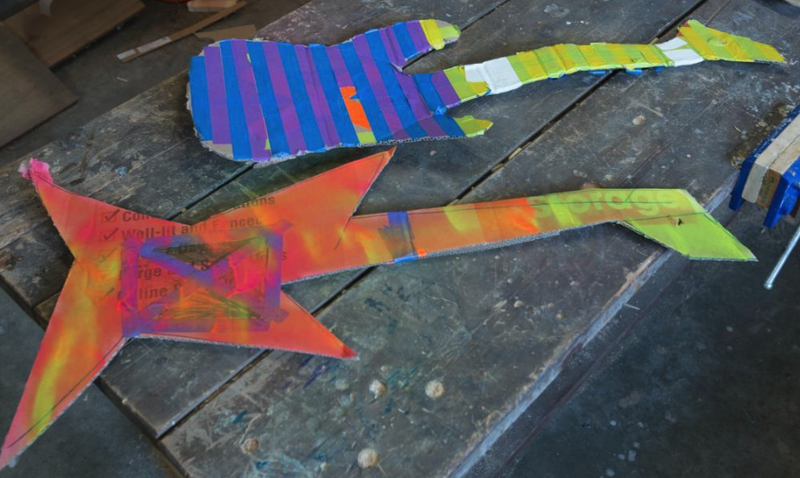 Strengthen the guitar next with an angled cardboard strip (optional). 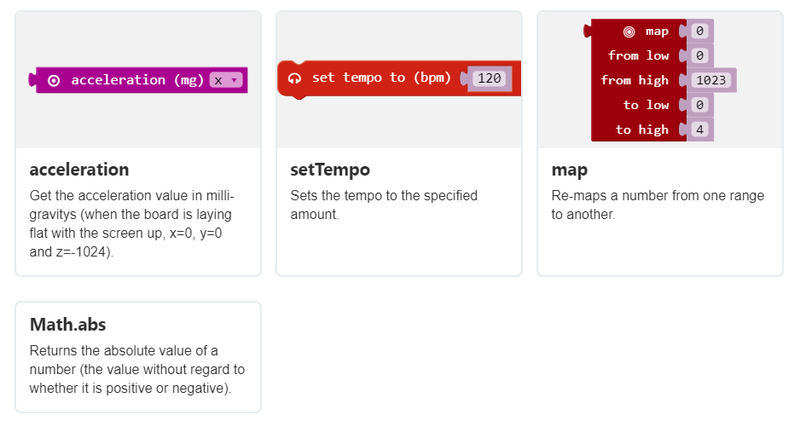 Open https://makecode.microbit.org/ in your web browser. 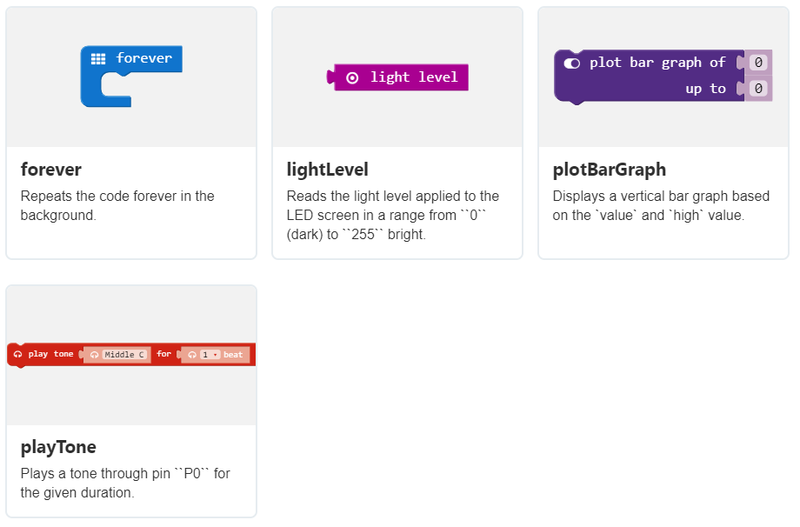 From Basics, drag a show LEDs block into the coding area * Create a face with LEDs. Connect your micro:bit to your computer via USB and click Download. 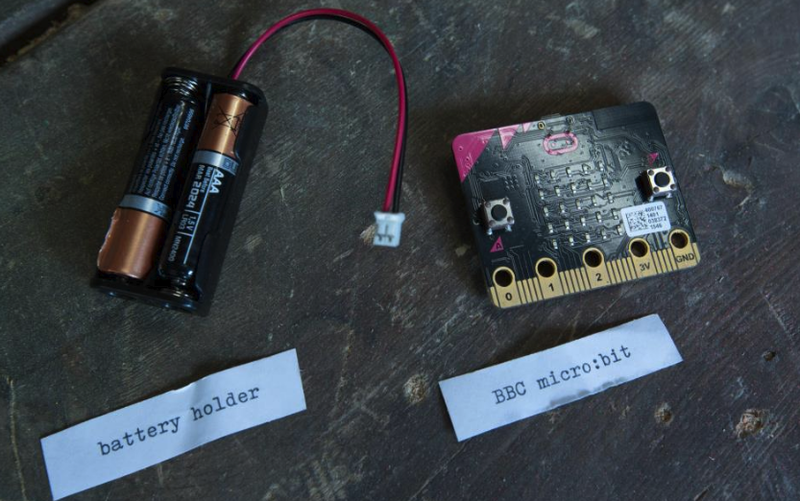 Follow the instructions to move the code to your micro:bit. Snap the LED face into the block. Create a ‘B’ button block with a different LED face. 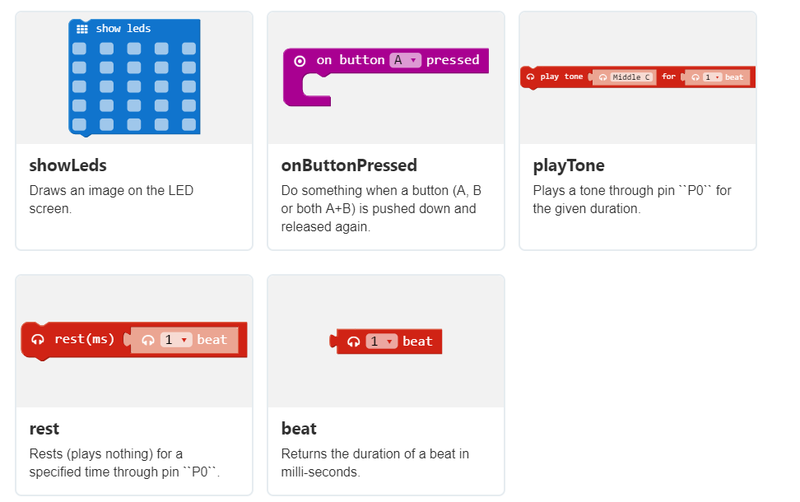 Download the code to your micro:bit and try the A & B buttons. The play tone block allows a range letter note tones from C to B5. 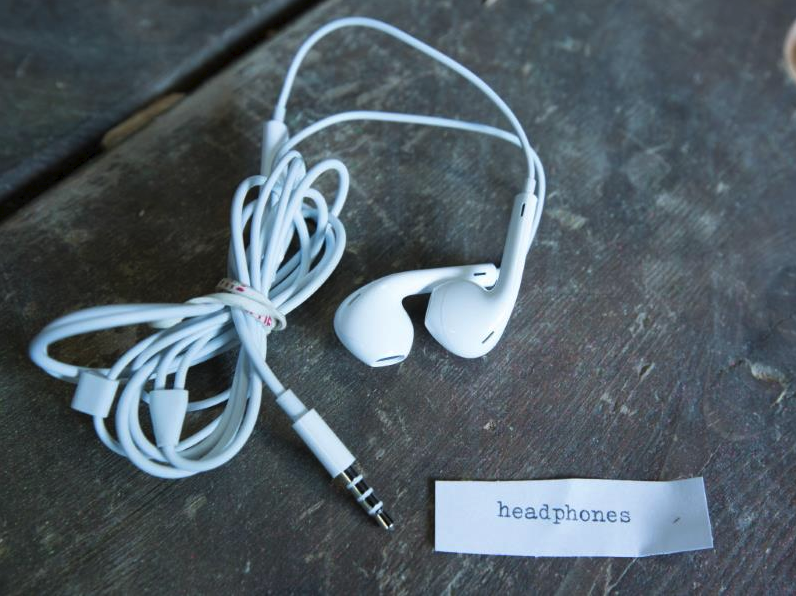 Songs are played using sequences notes. Like the beginning of a birthday song (C, C, D, C, F, E). Congratulations on completing the basic guitar! The forever loop really does run forever. The forever loop is useful when there is a need to continually check for an event or use a changing value in code. Frequency measured in Hz which are cycles per second or vibrations per second A healthy human ear can detect frequencies in the range of 20Hz to 20,000Hz. The micro:bit + headphones reliably produce detectable output ~50Hz – 6,000Hz. Add a B button block that multiplies the 261 tone by a number other than 2 to set tone. 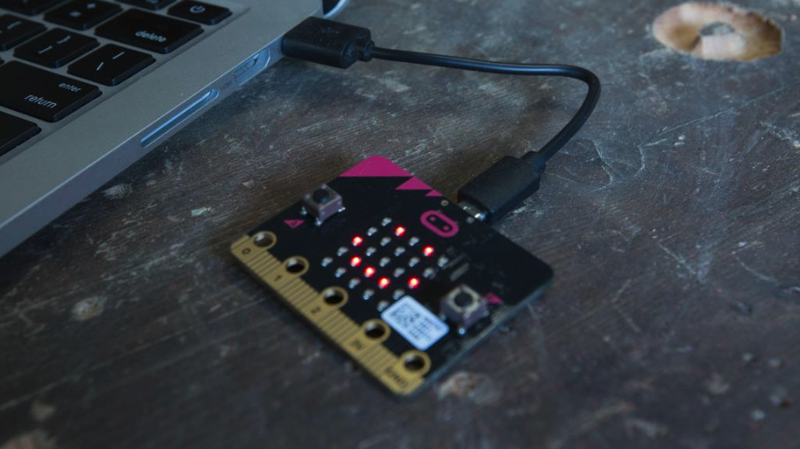 Download the code to the micro:bit. Test the sound for multiples of the 261Hz C frequency. Good work, this guitar is sounding good! The micro:bit contains an accelerometer sensor that is able to measure forces applied to the board. On earth, we are subject to the gravity force which pulls us to the ground! 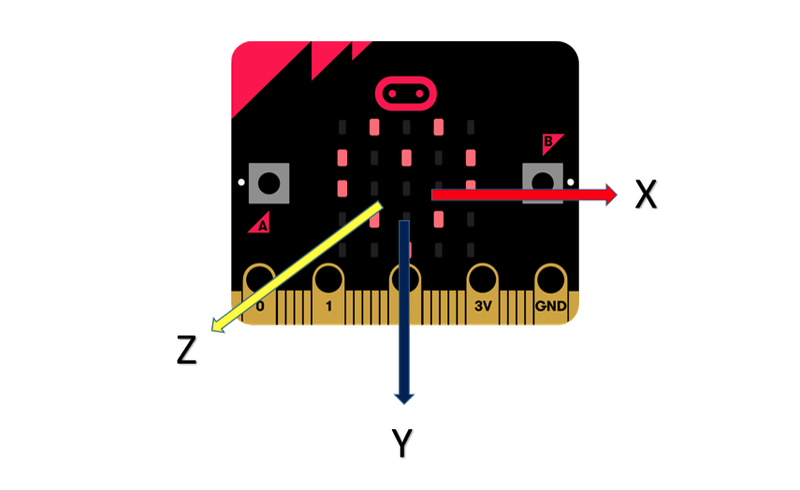 When the micro:bit is flat on a table, with the screen pointing up, the gravity force is aligned with the Z axis of the micro:bit. If you tilt it up and down, the force will align with the Y axis – this is how we can detect tilting!!! 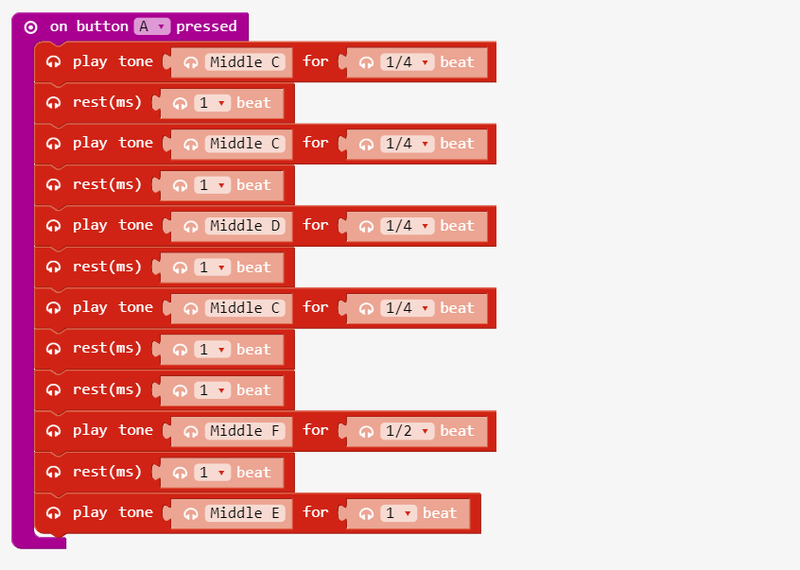 If the force along Y grows, the micro:bit is tilting more and more vertically! The acceleration block approximately measures milli-g, which is 1/1000 of a g or the acceleration of gravity. Try graphing the acceleration along the X and Z axis. Can you explain the differences? 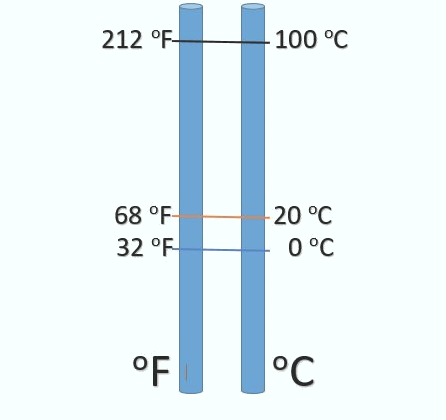 micro:bit sensors produce signal values between 0 to 1023. The map block converts the signal to a desired range. Combine the code above with the light sensor tone control code from the previous activityDownload the code to the micro:bit on the guitar Now play the guitar adjusting tone and tempo using the light sensor and accelerometer! 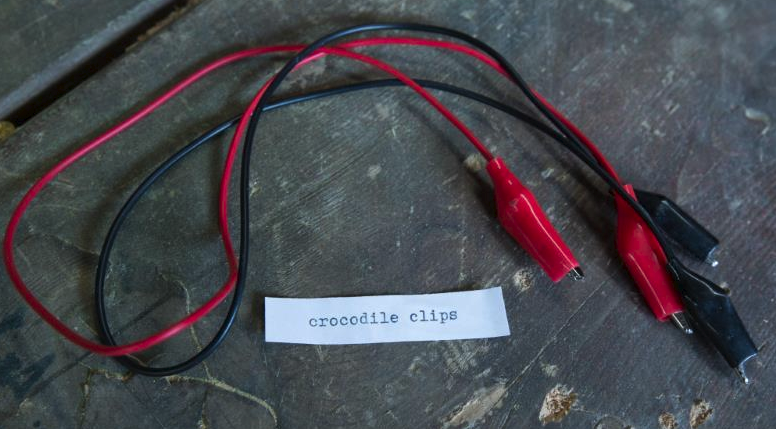 In this activity we use YOU to conduct electricity to close the circuit that switches the guitar ON and OFF! Hold the micro:bit touching The GND pin with one hand with the other hand alternately touch the 0, 1 and 2 pins. The electric signal traveled from pins, between your hands to GND and the micro:bit detected the electric signal! Using the on global variable we can switch the message on the micro:bit between ON and OFF. 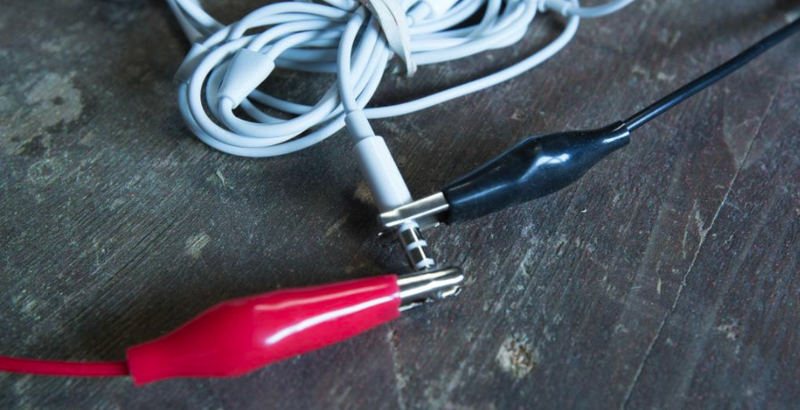 Turn the guitar ON and OFF with a pin press on the connected foil by touching both pieces of foil at the same time to connect the switches.